Willow whips, cedars wide and pine needles fallen. Gusts of wind amidst tiny chatter from illustrious nutcrackers. A lighthouse glimmering at dusk. Traveling a while next to me. And here I’m left to sit. This night would be the sip. That whips about this storm? Strays memories into this ‘bow. That was soaked into a cube. Jenevive, I am your lover. My word is you again. This light shall never die. Who whispers deep into my hand. 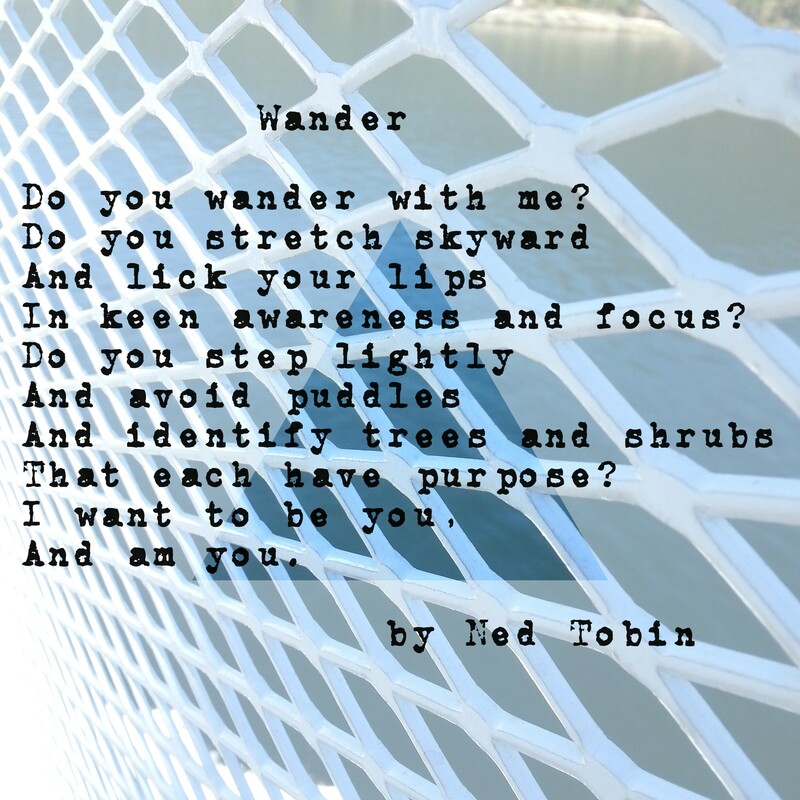 Do you wander with me? In keen awareness and focus?